Many young people are strongly interested in improving the U.S. food system, and are helping to accelerate the already-fast growth of the Good Food movement. And no small number are working to advance the cause by taking on activist roles on college campuses around the nation. 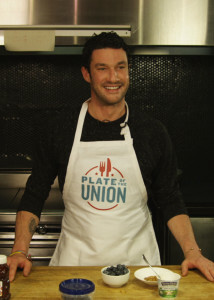 The Plate of the Union campaign seeks to persuade candidates in the 2016 elections to talk about how they would improve the nation’s food system. Now the Plate of the Union campaign, staged by three organizations — Food Policy Action, the HEAL Food Alliance and the Union of Concerned Scientists — is holding a Campus Challenge for teams of students who share the goal of persuading this year’s presidential candidates to talk about how they will transform the food system to make it healthy for consumers, fair for workers, and environmentally sustainable. The campaign — which is engaging the interests of leading chefs and activists alike — is offering awards of up to $5,000 to students who have the best ideas for influencing peers, the media and candidates to talk about food. To learn more about the Campus Challenge, click here. Team registration is recommended by next Monday, Feb. 29, though a full application may be completed and sent by March 21. Mike Lavender of the Union of Concerned Scientists elaborated on the campaign in the contributed article below. Throughout history, young people have been at the forefront of social change, from the civil rights movement to the search for climate solutions and a million points in between. Young people’s unique ability to see what should be rather than what is constantly pushes our society to re-evaluate our common values. Today, young people are driving a national conversation about the U.S. food system and its impacts on human health, labor rights, and the environment. Plate of the Union – a grass-roots campaign calling for reform of our nation’s food system – recently launched a new youth-driven organizing effort. 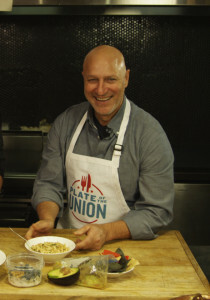 Well-known chefs Tom Colicchio (above) and Sam Talbot (below right) are among the leaders of the Plate of the Union campaign. The Plate of the Union Campus Challenge is a competition for students to develop and execute a campus outreach plan to drive engagement around food issues in the 2016 election. You can see a video here from Chef Tom Colicchio and Chef Sam Talbot to get a great dorm room recipe, and learn more about the Campus Challenge. 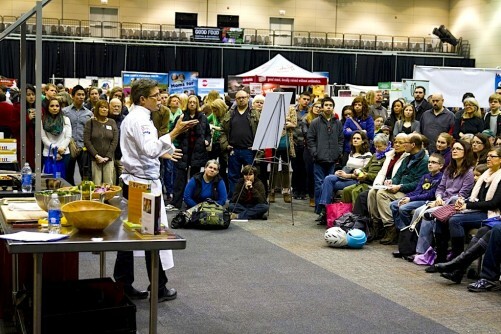 A panel of celebrity chefs, food advocates, elected officials, writers and policy experts will judge the submissions and announce winning teams in April. Grand prize winners will receive $5,000 in funding to execute their plans, as well as a visit to their campus from Colicchio and other prominent chefs. Three runner-up teams will each receive a $2,500 prize for their organizing efforts. The competition focuses on key Presidential election battleground states including North Carolina, New Hampshire, Pennsylvania, Ohio and Iowa. As the next president takes office, it is critical that he or she hears from all Americans, especially young people, about the current direction of our food system and the dire need for reform. 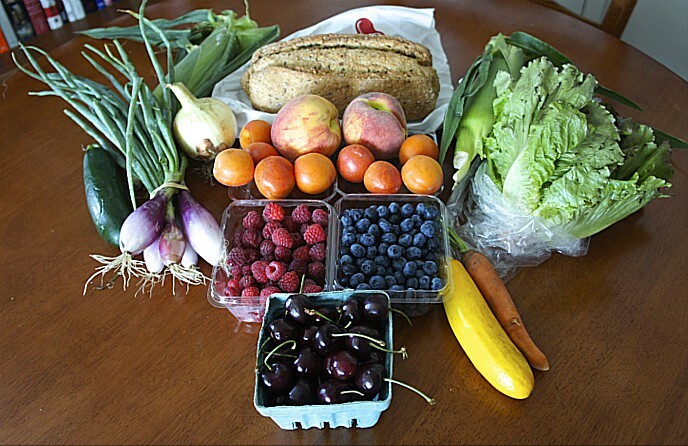 Recent polling shows that Americans agree on what our food system should look like. An overwhelming bipartisan majority of voters supports expanded access to healthy, affordable foods, fair wages for food industry workers and sustainable farming practices that protect our land, air and water. As the population of our planet grows, producing healthy food for all in ways that promote equality and environmental health will only become more important. As at other crucial moments throughout history, young people are again leading the charge toward a better future. Interested in learning more about the Plate of the Union Campus Challenge? Visit www.plateoftheunion.com/campuschallenge or contact mlavender@ucsusa.org. This entry was posted in Awards, Food policy, Good Food Policymaking and tagged Campus food activism, FamilyFarmed, Food Policy, Food Policy Action, food policymaking, Good Food policy, Good Food policymaking, HEAL Food Alliance, Plate of the Union, Plate of the Union Campus Challenge, Sam Talbot, Student food activism, Tom Colicchio, Union of Concerned Scientists. Bookmark the permalink.